Our chalet provides pleasant accommodation in two rooms at the foot of Jeseniky mountain range at a very reasonable price. The location of the chalet is a perfect starting point for hiking in summer or for cross-country skiing in winter. Dozens of slopes for downhill skiing are also nearby. The larger room is equipped with a bunk bed, a double bed and an armchair/additional bed (5 in total), the smaller room is equipped with a bunk bed and two single beds (4 in total). 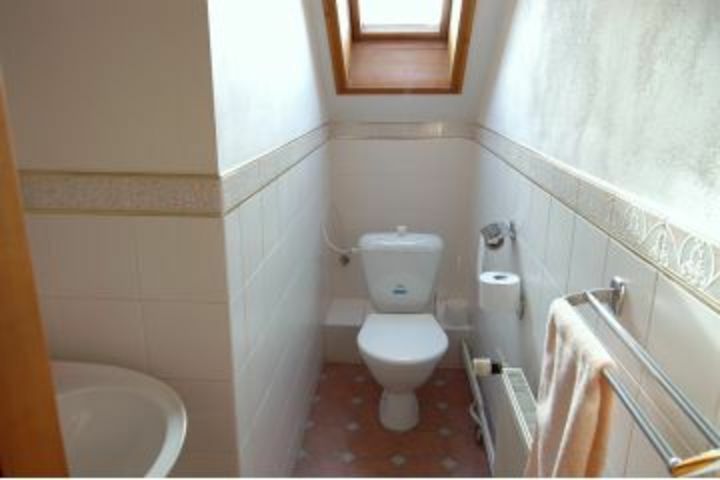 Each room has its own bathroom with either a shower or a bathtub and its own lavatory. The chalet is equipped with a kitchen including a dining room, TV set/satellite and a sauna. In winter, central heating is operational in the entire building. If necessary, guests are able to use the fireplace in the dining room. The court provides parking space for up to 5 cars. Free Wi-Fi internet connection is also available. 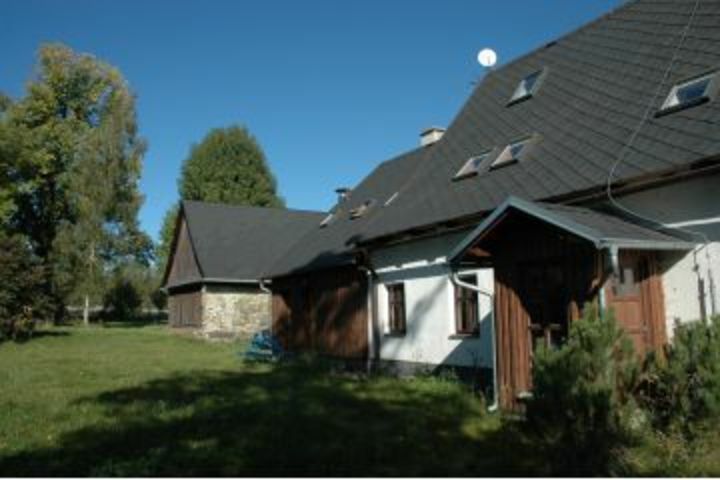 The chalet is located in a quiet village of Rudná pod Pradědem near Bruntál, at about 650 m above sea level. Opposite the chalet, there is a shop and a little pub, a larger pub is nearby. Smoking is strictly prohibited inside buildings. We speak English, French, German and Polish. Dogs are welcome; there is a large garden at the back. 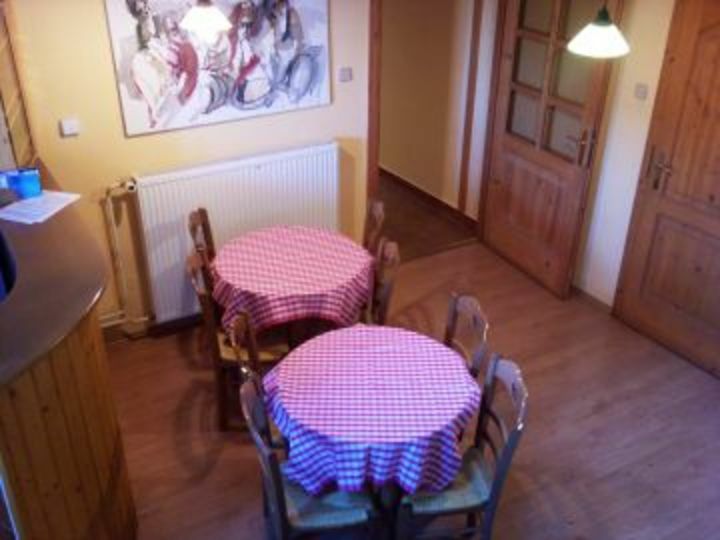 The chalet provides accommodation for 9 people in two rooms. 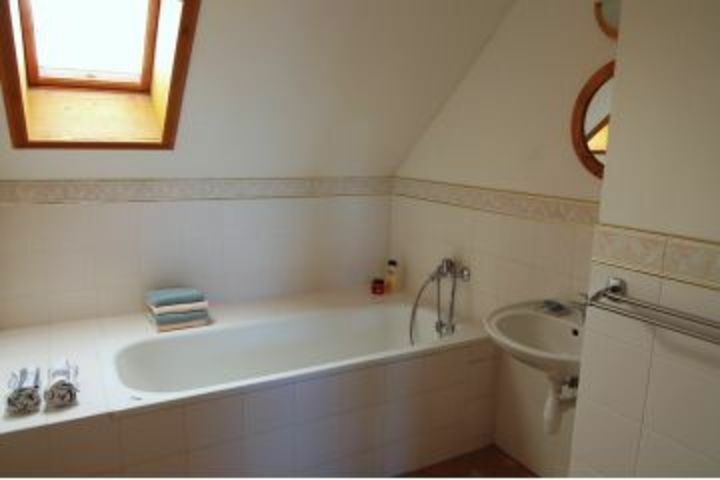 Each room has its own bathroom with either a shower or a bathtub and its own lavatory. 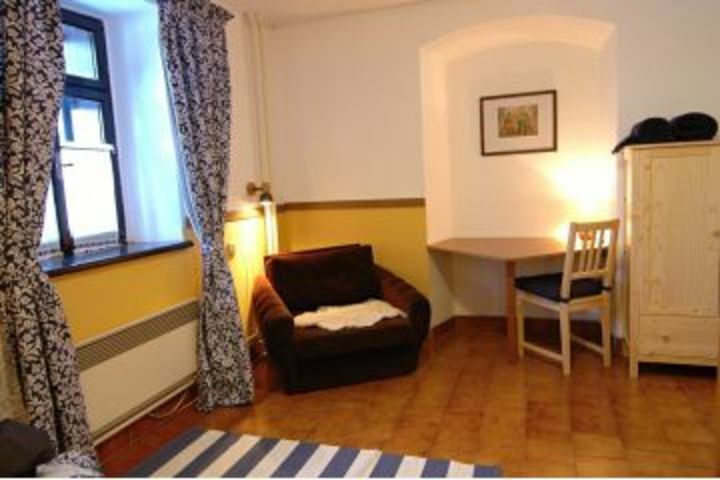 The chalet is equipped with a kitchen including a dining room, TV set/satellite and a sauna. In winter, central heating is operational in the entire building. If necessary, guests are able to use the fireplace in the dining room. The court provides parking space for up to 5 cars. Free Wi-Fi internet connection is also available. 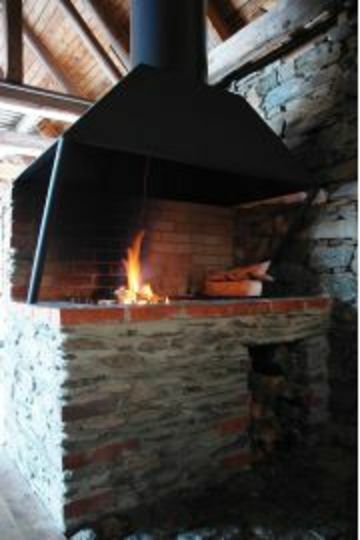 In summer, the outside fireplace is available for barbecue. Prices are displayed per person per night. Although presented as dorms, rooms are private, i.e. no complete strangers together in one room. Der Anbieter hat uns kurz nach der Buchung über HI Hostels mitgeteilt, dass das Objekt bereits belegt ist und wir nicht anreisen können. Schlechte Organisation! Wir haben die Anzahlung gezahlt, aber sie bisher nicht zurück erhalten. Der Anbieter hat uns empfohlen, künftig direkt über ihn zu buchen. There is a bus line from Bruntal to Mala Moravka or Karlova Studanka operating every day. You need to get off the bus at Rudna pod Pradedem - Kulturni dum and then turn around and walk approx. 1/4 mile down the hill using the main road. Please feel free to contact us about more detailed information. 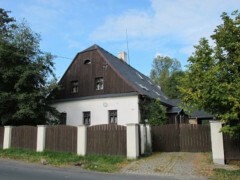 In the centre of the village across the street from a shop called Hruska and a small pub. The courtyard provides parking space for up to 5 cars. Get off in Bruntal (line Krnov – Olomouc) then you need to use the bus as described above.